The first round of iPhone XR reviews were published by media outlets this morning. Below we've highlighted some of the key takeaways from around the web ahead of Apple's official iPhone XR launch day this Friday. 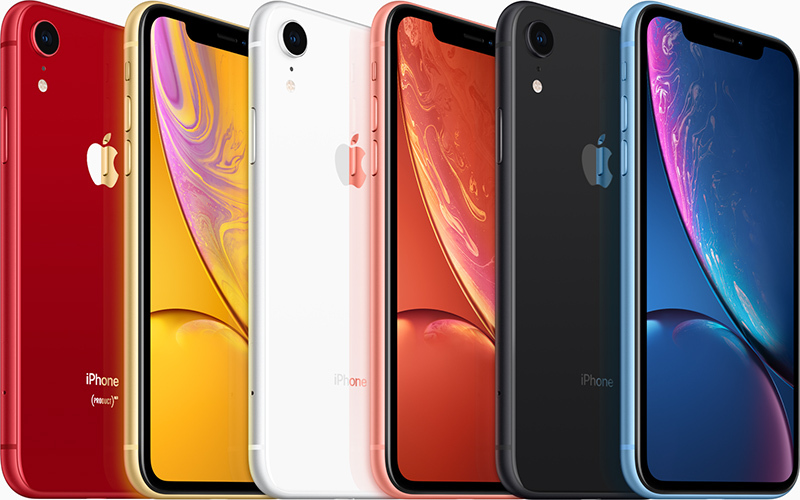 Priced starting at $749, the iPhone XR is Apple's lowest-priced flagship iPhone and is available in several colors. It features Face ID, an edge-to-edge LCD display, a single-lens camera, a glass body for wireless charging, and an A12 Bionic processor. The display on the iPhone XR is… fine. It's fine! It has lower resolution and pixel density than the OLEDs in new flagship phones like the iPhone XS, Galaxy S9, and Pixel 3, but it's the same 326 pixels per inch as Apple's previous non-Plus LCD iPhones. Anyone coming to this phone from any iPhone save the iPhone X will not notice a huge discrepancy in resolution. While the screen is one of the best LCDs I’ve ever seen, it's not as good as the other models. Specifically, I believe that the OLED's ability to display true black and display deeper color (especially in images that are taken on the new XR cameras in HDR) set it apart easily. That said, I have a massive advantage in that I am able to hold the screens side by side to compare images. Simply put, if you don't run them next to one another, this is a great screen. The XR's single camera is a very good one: It's the exact same 12-megapixel wide-angle camera Apple uses in the XS and XS Max, and it still produces some lovely photos. You'll find a lot of detail and some excellent colors in the resulting stills, and it's been surprisingly handy in low-light thanks to its f/1.8 aperture and sensor with deeper tranches between those pixels. Since the iPhone XR only has a single-lens rear camera (it has a wide-angle lens, but not a telephoto lens), it doesn't capture as much depth information as the dual-lens camera on the iPhone XS. This means that when you swipe to Portrait mode in the Camera app, the background-softening effect will only work if you're snapping a picture of a person, since Apple has decided to train the camera's machine learning on human shapes. Try to snap a Portrait photo of your food, or your cat, or a pumpkin (because it's pumpkin season) and "No person detected" will appear at the top of the photo frame. The iPhone XR also only has three lighting options in Portrait mode, versus five on the iPhone XS. Apple believes you'll be able to get 90 minutes more battery life out of the iPhone XR than the 8 Plus, which is a big jump in real terms. Well – and we don't want to spoil the surprise a little later – we'd say it's even better: the iPhone XR finally achieves the holy grail of all-day battery life in an iPhone. On the Tom's Guide Battery Test, which involves continuous web surfing at 150 nits of screen brightness, the iPhone XR lasted 11 hours and 26 minutes. That beats the times from the iPhone XS Max (10:38) and iPhone XS (9:41) by a significant margin. The Pixel 3 XL lasted only 9:30, while the Galaxy Note 9 also endured for 11:26. In everyday use the iPhone XR's endurance also impressed. After unplugging at 100 percent at 7 a.m., I used the phone intermittently to play games, check Facebook and email, and stream Spotify and capture photos and videos, and I still have 24 percent battery left at 9 p.m.
Be sure to check back, as we'll be adding more links below to online reviews of Apple's iPhone XR as the day goes on. Seriously, we need a smaller hand-friendly version of this design. I think people should just give it up. It’s not going to happen. Still laughing at the pricing - $749 for the basic version of an "entry level" phone? Talk about about taking the piss! But lots of people will buy it . . .
Trouble is there are a lot of people who believe that the real “taking the piss” is the iPhone XS & MAX. I have a friend who is still on an iPhone 6. She earns over £100,000 per year and has just spent £40,000 on a new car. So money is hardly the issue. When I asked why she hasn’t upgraded yet the answer is basically - “£1,000 or more on a phone. And no 128GB version. That’s taking the piss!”. She is getting an XR. I think that there a a lot of people like that. This reminds me of Ballmer laughing at the original iPhone introduction. iPhone 7 at $449 is the entry level Apple currently sells. Excellent option for anyone not needing the additional luxuries of the XS (SS, OLED, 3x retina as opposed to 2X4, retina and telephoto camera sensor). As long as you haven't already been using an OLED screen, you won't miss what's not there. For anyone who is coming from an iPhone 6s, 7, or even 8 this phone is a massive upgrade. I know there is a fragmentation argument against the growing number of iPhones and size and storage options, but I actually think Apple has done a good job of making three excellent phones with well thought out differentiators to provide something for just about everyone. Yup, I don't see the big phone fad letting down anytime soon. I love the size of my SE but bought the Xr. What's cooler than to have a computer you can put in your pocket. The phone has become secondary.